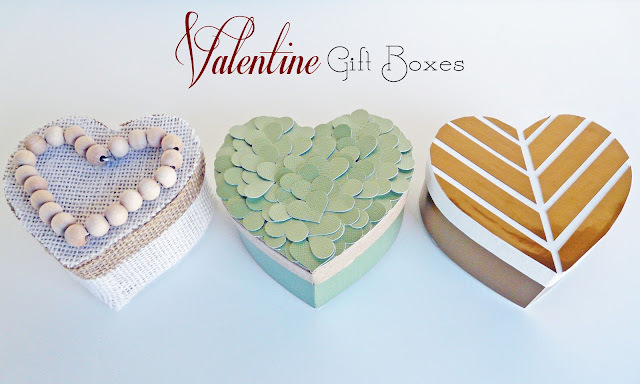 Last week I shared the tutorial for the 3-dimensional heart box. 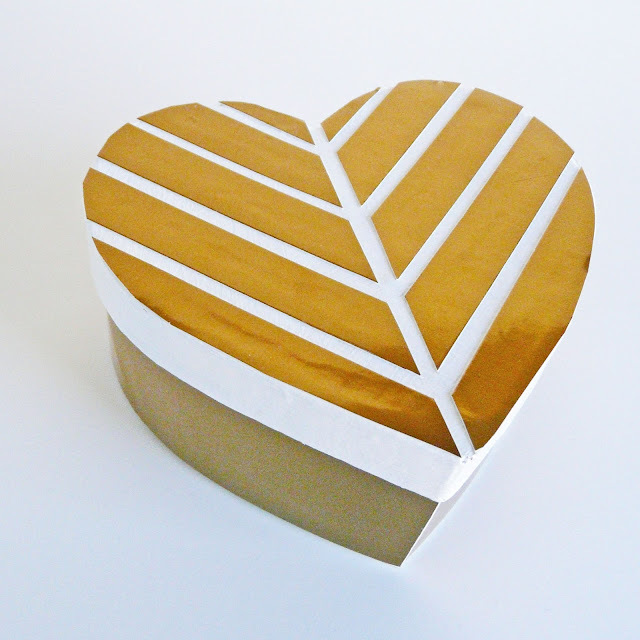 Next up is this brass chevron heart box. I really wanted something modern, clean... and shiny. I think this hits all points. Take the plain papier mache box and paint the two pieces of the box with glossy white paint. Paint a second coat if needed and let the paint dry. Cut your foil cardstock into ten 6-inch X .5-inch strips. 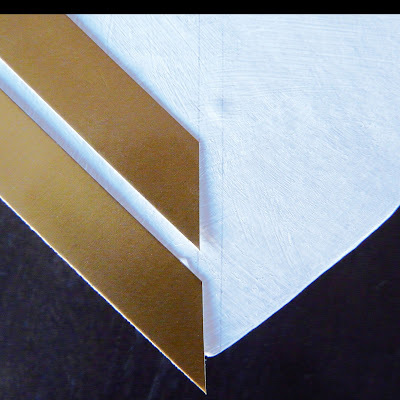 Then take five of the strips and cut the tips at a 45 degree angle. Repeat with the remaining five strips except cut the 45 degree angle in the opposite direction. 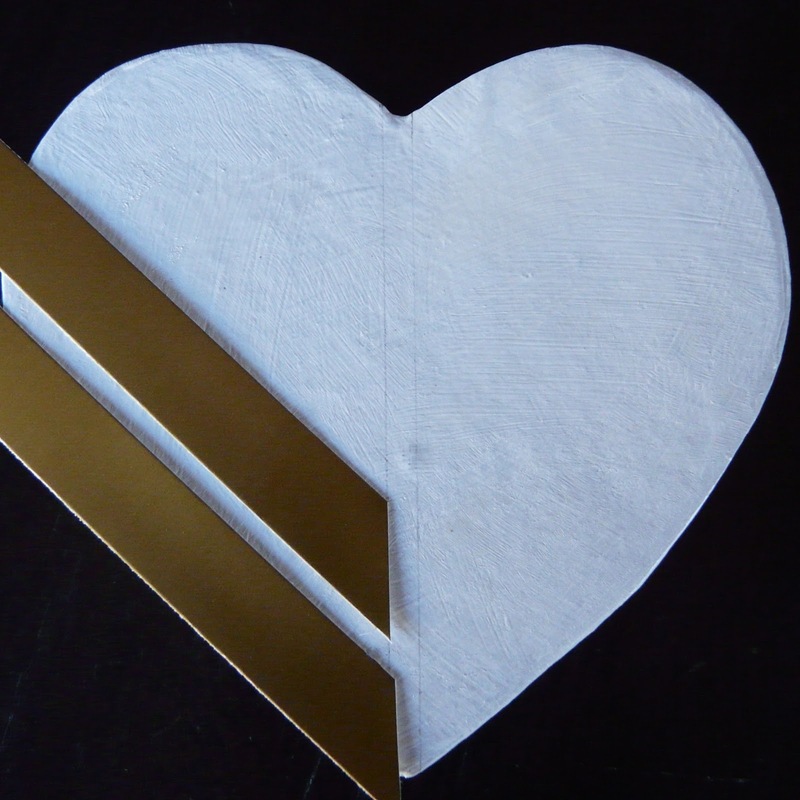 Basically, you want the two sides to meet in the shape of the letter "V". Lightly draw two parallel lines down the center of the heart. With glossy paint, it's easy to erase the lines later. 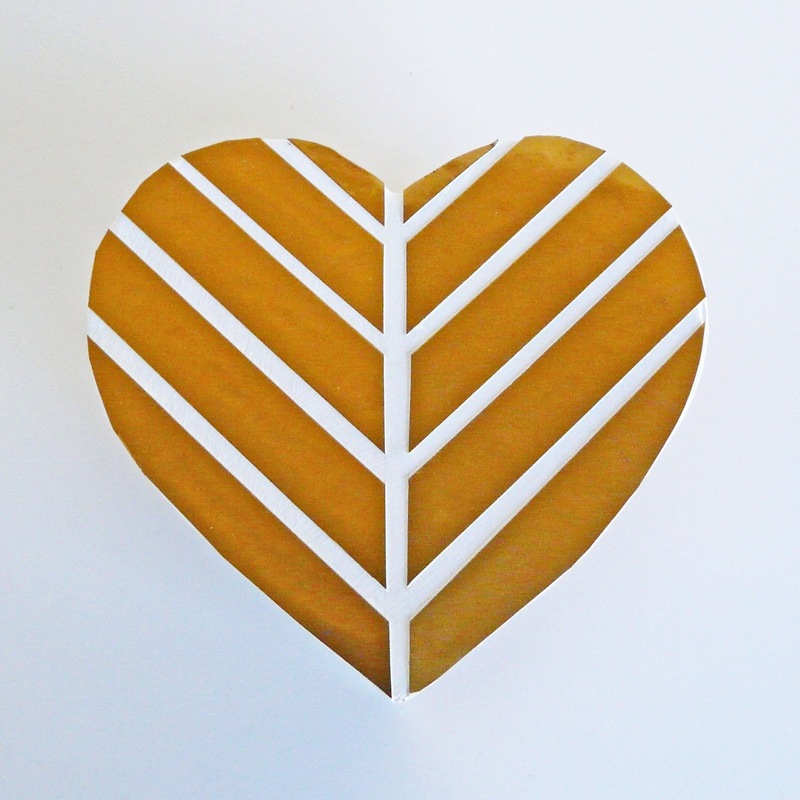 Line up your angled strips of paper and glue them down. 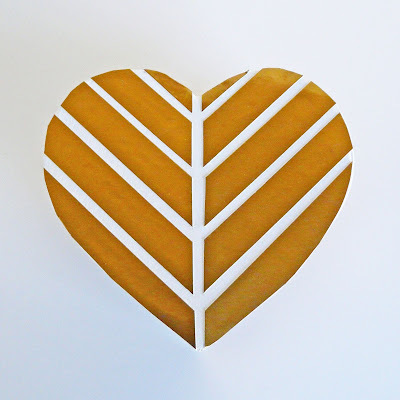 Once the glue is dry, trim the strips to the box's heart shape. Here's what it'll look like from the top. 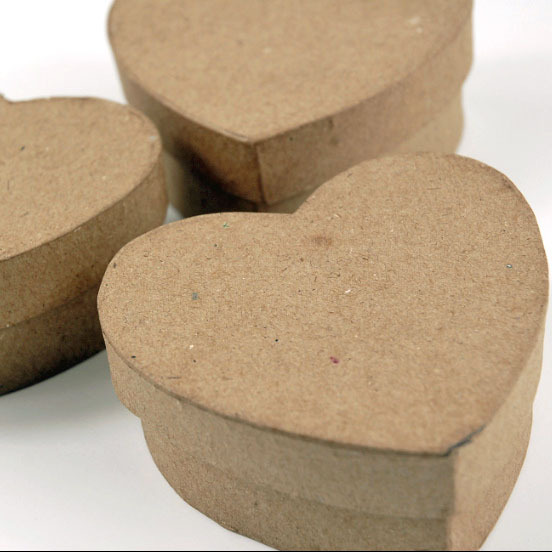 Then, with your remaining paper, trace out a heart for the bottom of the box and also a couple of strips to cover the sides of the box. I measured from the bottom of the box up to the lid and cut my paper accordingly. Mostly likely the box will not close properly if your paper goes higher than the lid. The burlap heart box coming up later!